I spent most of life as a software engineer in Silicon Valley. I worked at all kinds of companies: from small startups to huge corporations. While I had a comfortable life and was making good money, I was miserable. I hated my commute. I didn't really get along with my co-workers. I'm not exactly sure what it was, just nothing really made sense. All I knew was that I was miserable and needed to get out and do something else. I worked at companies like this for 10 years. Pay was decent, but my lifestyle was depressing. So, I flew to Brazil on a one-way ticket. That's also when I started this blog. 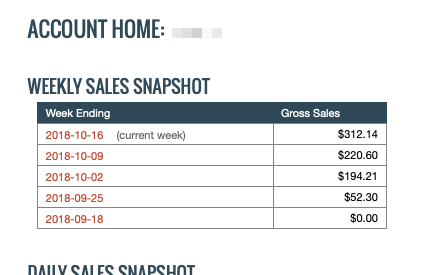 While initially I had some savings from my job (living in San Francisco was very expensive), I knew that I would need to generate a solid online income if I wanted to support myself in the long run. After several years of trial and error (living in Brazil didn't help to be productive), I finally figured out ways to make money online. Ever since then, I've been living online in various countries. I spent over 7 years in Latin America, living in countries such as Colombia, Brazil, Argentina and Mexico. Living in Latin America has been nothing short of awesome. I made lots of long-time friends, learned a couple of new languages and experienced amazing cultures that I only dreamt about years before. After Latin America, I spent a bit of time living in Europe, but was tired of cold weather, so I headed to Asia. I spent six months living in Thailand (Chiang Mai, Bangkok). I also spent six months living in Bali, Indonesia. In Asia, I had, what I call, "the ideal lifestyle." I woke up, had amazing breakfast, took the scooter to the main part of the city, worked a little in an awesome coffee shop, and then went to the gym or BJJ training. After training, I had delicious lunch. Then I worked for a bit before doing something relaxing in the evening. When I first tried to make money online, I was struggling. All my projects flopped. Nothing worked. After lots of trial and error, I eventually learned how to build sites and have them increase in traffic (and earnings). Here's one of the first online commissions I received. I still remember it like it was yesterday. Each line above represents a $65 commission that was deposited into my bank account over a span of just 4 days. Not too bad for very little work. 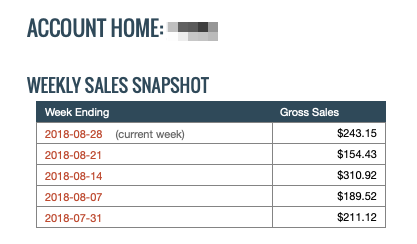 $200-$300 per week ($1000-$1200 per month) may not be a lot to many, but that's a nice sum for just one site. And the beautiful part is that this system can be easily replicated as many times as you want, thus creating a brand new passive income stream as many times you want. 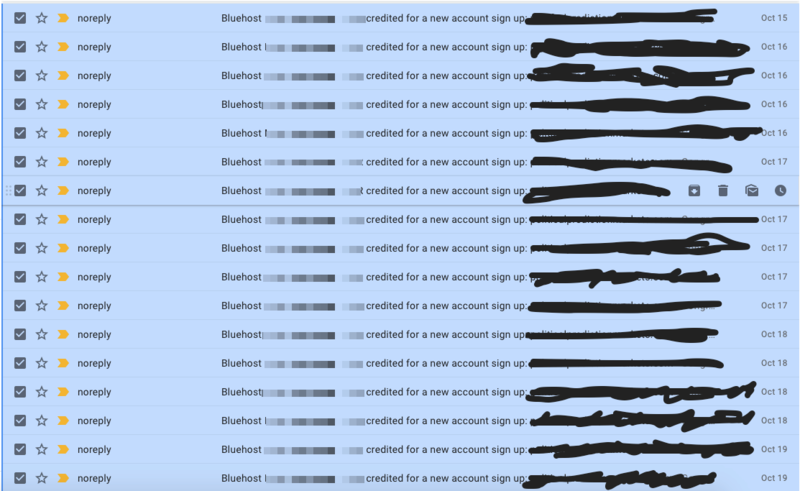 I also learned how to grow an email list. I started out with exactly 0 subscribers but over time had grown it to more than 20k subscribers. As you know, having a large email list is a huge asset to any business. People that have bought from you once are very likely to purchase from you in the future. Of course, I run many other sites that each make a certain amount of income. I also constantly start up new sites. They are all different sites in different areas. Some are small sites that target a small market, others are huge authority sites. Some make a lot, some make not so much. How would your life change if you can take your existing idea (or brainstorm with me a brand new idea) and grow that into a fully passive location-independent business that makes you money while you sleep? What kind of impact would an extra $500/month have on your life? Or $1,000? Or even $2,000, or $5,000? Would you travel around the world (like I have)? Would you permanently move abroad? If so, where? Latin America, Eastern Europe, Southeast Asia or somewhere else? Would you stay exactly where you are and upgrade your life? Buy a new car? A new house? Would you donate the profits to your favorite charity? Would you save the homeless? Would you take all the profits and reinvest into your business? Or would you do something else? That's why, for the past five years, I've been busy mentoring hundreds of guys just like yourself on building a passive income business using my proven, tried and true methods. 2) You can work with someone who's already experienced and knows what works and what doesn't. Someone who doesn't just talk the talk, but actually walks the walk. That's great, but will my idea work? You're probably wondering whether your idea can work. Maybe your idea is unique and it's a bit more than just "building a site" and selling products. Maybe you want to do something interesting and aren't quite sure how to turn your idea into a reality. I'm going to let you in a little secret: the raw truth is that any idea can be monetized. If you have a good idea and an audience, you can make money out of that idea. So, you don't have to worry about the making money part: every good idea can be potentially turned into a source of passive income. An intensive, 1-1, custom-tailored program aimed at helping you translate your skills and passions into a sustainable lifestyle. Learn how to go from a hard-to-pinpoint passion or skill into a viable money-generating business idea. To succeed, you need a loyal customer base that likes what you do and will give you money for more. Learn how to build an army. The worst thing you can do is build something that nobody wants. Huge waste of time. Learn how to never fall into this trap. Highly personalized Skype or phone sessions that last anywhere from 60 to 90 minutes, or until you need to go. Scheduled at your convenience. As part of the program, you're given a private email, which we'll be using to communicate exclusively. Ask me anything and get a comprehensive reply. My devoted and uncompromising assistance in helping you overcome your obstacle, whichever it may be. I'm on your time, and I want you to succeed. Neil Dash talks about building his own brand based on Whiskey and Millennials. Dylan talks about the challenges of building a business surrounding his passion and interests. Sam talks about the program and how it helped him launch his first business—a boutique branding agency. Jake talks about building a product surrounding his area of expertise. James doesn’t sugarcoat anything. He tells you what works and what doesn’t work. Perhaps it’s his Eastern European background. I’m tired of talking to people who sell me some far-fetched half-baked ideas that have a very low chance of materializing. Talking to James has truly been a breath of fresh air. I’ve just recently started my online business in a niche I love and really passionate about. James and I brainstormed a couple of ideas in order to leverage my talents and developed a blueprint what will hopefully be a sustainable business with a recurring revenue. James is the real deal! Great, attentive mentoring. James immediately narrowed down on my idea and within half an hour we were discussing ways of developing future products. That saved me at least three years of trial and error. Are you ready to make money on your own terms? Are you ready to live the life you've always wanted? Note: The ﻿mentorship﻿ is ﻿﻿currently﻿﻿ closed to new applicants. Feel free to apply to the program, and you will be contacted as soon as the program opens.